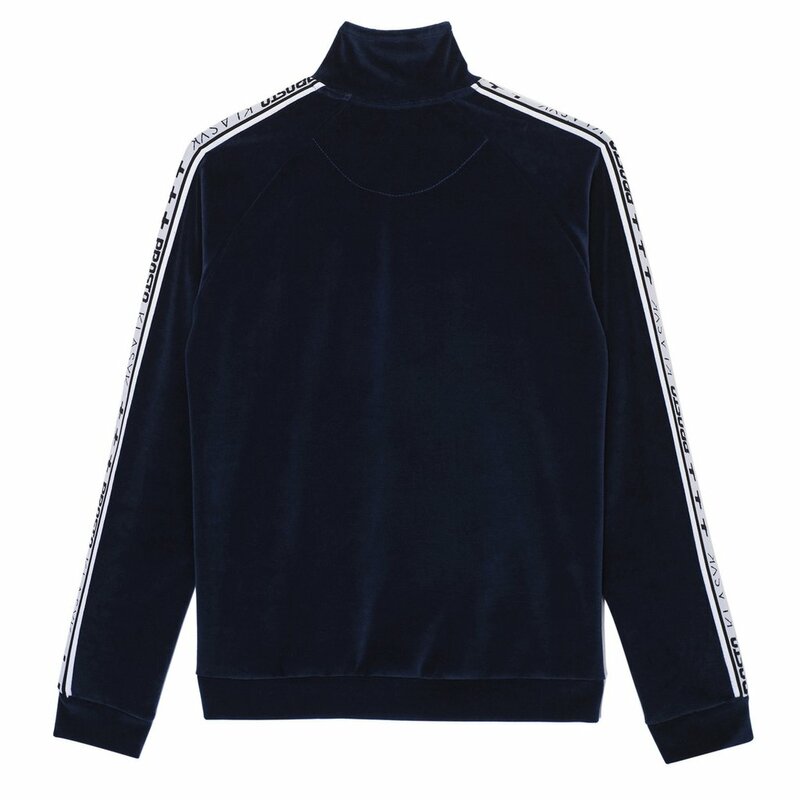 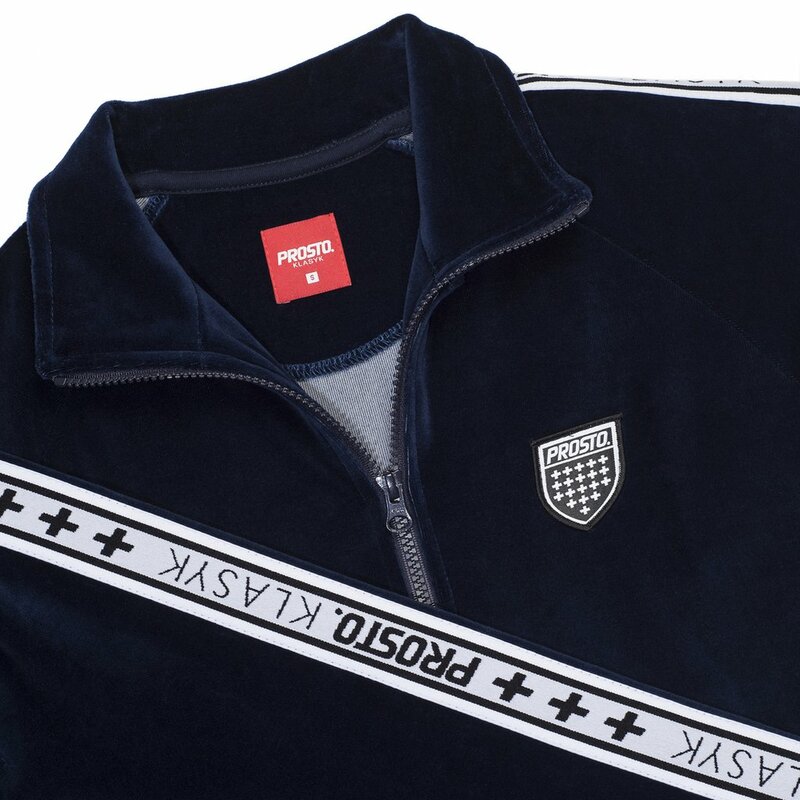 Velvet full zip sweatshirt featuring contrasting branded inserts on sleeves. With shield-shaped embroidery on chest. 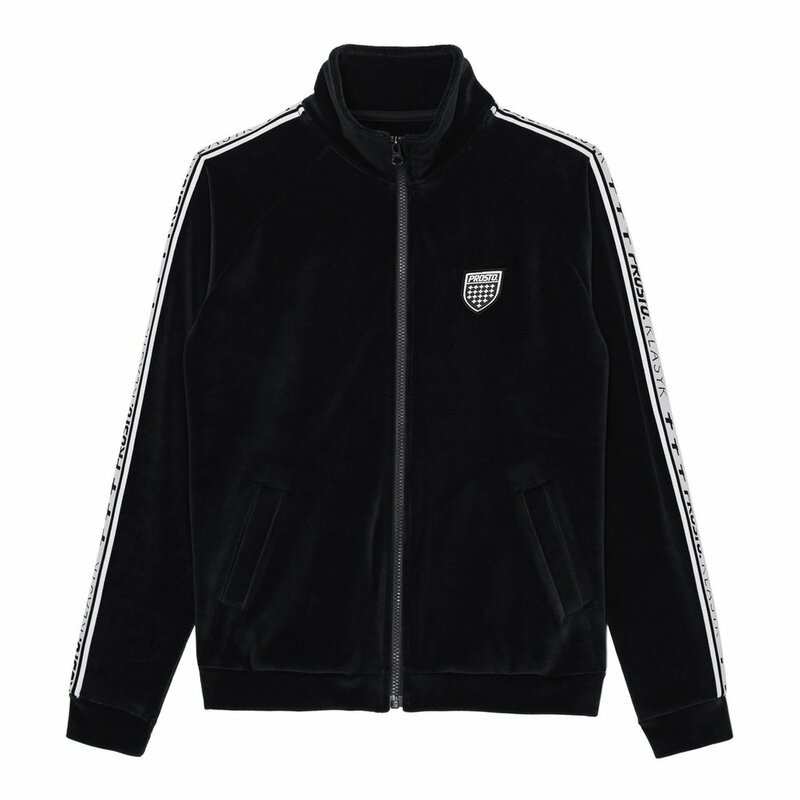 Teams well with Cold Velvet sweatpants.